Basilico has long been regarded as a top-notch Italian restaurant, and what adds to their recognition is constant evolution of their menu. 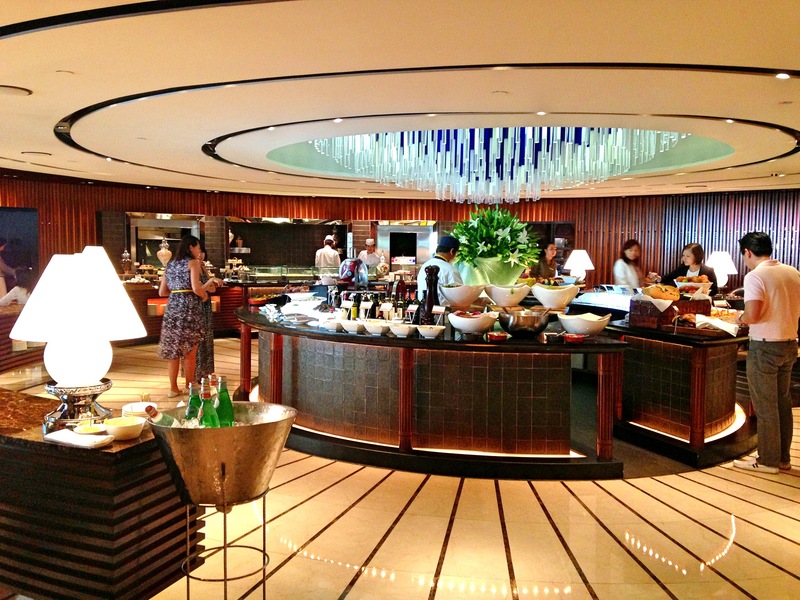 The Italian lunch buffet is a great hit and you typically see the restaurant full on weekdays lunch period. I’ve been invited to try Chef’s ‘Savour the Seasons 2014’ menu, which is intended to showcase seasonal produce imported from Italy. The dishes below are designed according to the seasons and incorporate ingredients available during this period. Il Crudo. A spring dish consisting of Sicilian Tuna Loin with Bronte Pistachio, Sea Bass Fillet cured with Amalfi Lemon and Cured Salmon marinated with Wild Fennel. With a sequence of dishes, you mostly want to start with the subtle flavours and end with a strong one. I would recommend starting with the Sea bass fillet, which has refreshing citrus flavours and a more subtle taste. Then, move to the firmer Sicilian Tuna loin with Pistachio for a nutty texture. 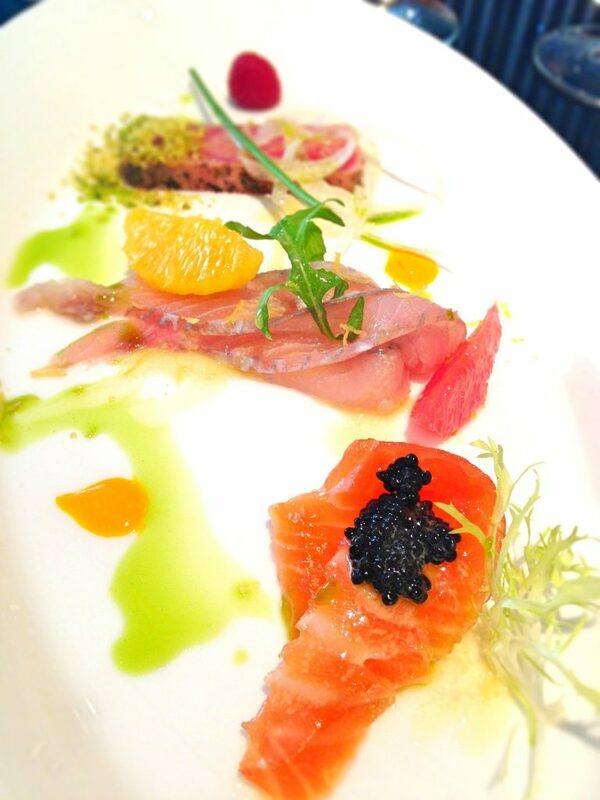 Finally, end with the Cured Salmon, which has a more powerful taste especially with sturgeon caviar on top. 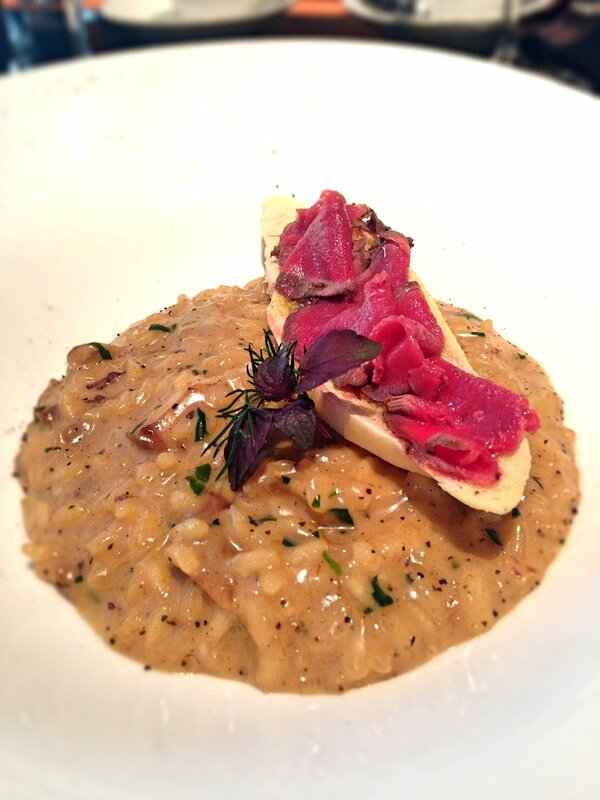 Risotto Ai Porcini. Representing the winter dish, this is made with Porcini Mushroom, Braised Young Leek and Cured Venison Tenderloin with Juniper Berries in a Gaja Barbaresco Wine Reduction. Intense mushroom flavours which goes well with the crisp toast and delicately cured venison. Absolutely loved this risotto. Agnello Sardo. 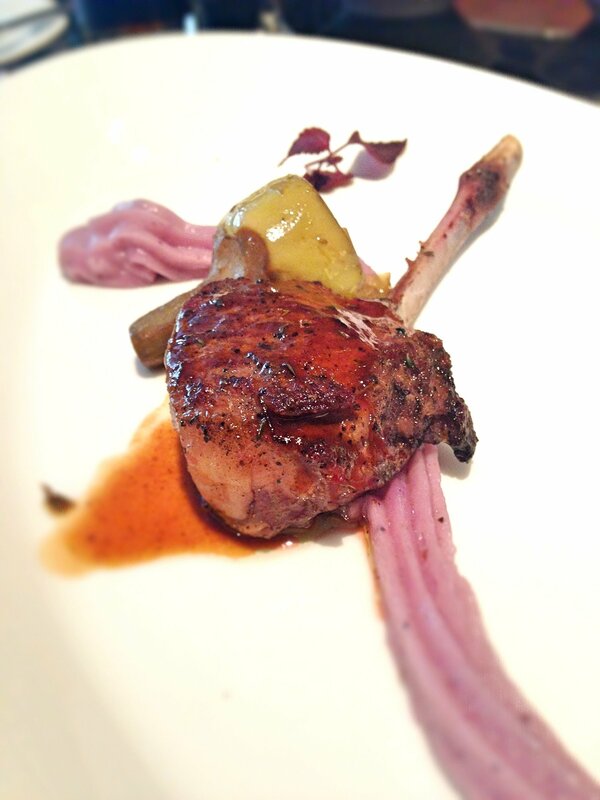 Grilled Spring Lamb Chops with Castello Artichokes, Violet Potato Puree and Thyme Jus. This lamb was marinated Sardinia-style for 36 hours in bay leaf, rosemary, red wine, black pepper and olives. It’s interesting seeing purple potato puree, which tasted a little more starchy than the usual variety. My lamb was a tad bit more cooked, leaning towards the medium-well side, resulting in a slightly dryer bite. La Porchetta. Representing Spring time. Slow-roasted Suckling Pig with Radicchio and Pecorino (cheese) in a Cartoccio Peach and Basil Sauce. 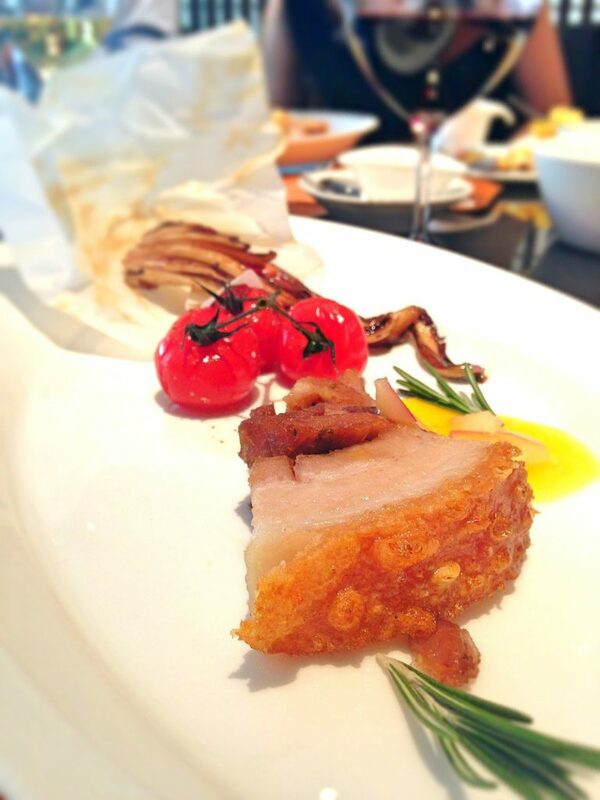 A crispy skin, meaty suckling pig that goes well with the paper-baked Cartoccio peaches for a sweet lightness that cuts through the fats. Radicchio is a type of cabbage which is in the background. I realize I had to google half the Italian ingredient names listed in the menu. La Sfera al Pistacchio ($14). 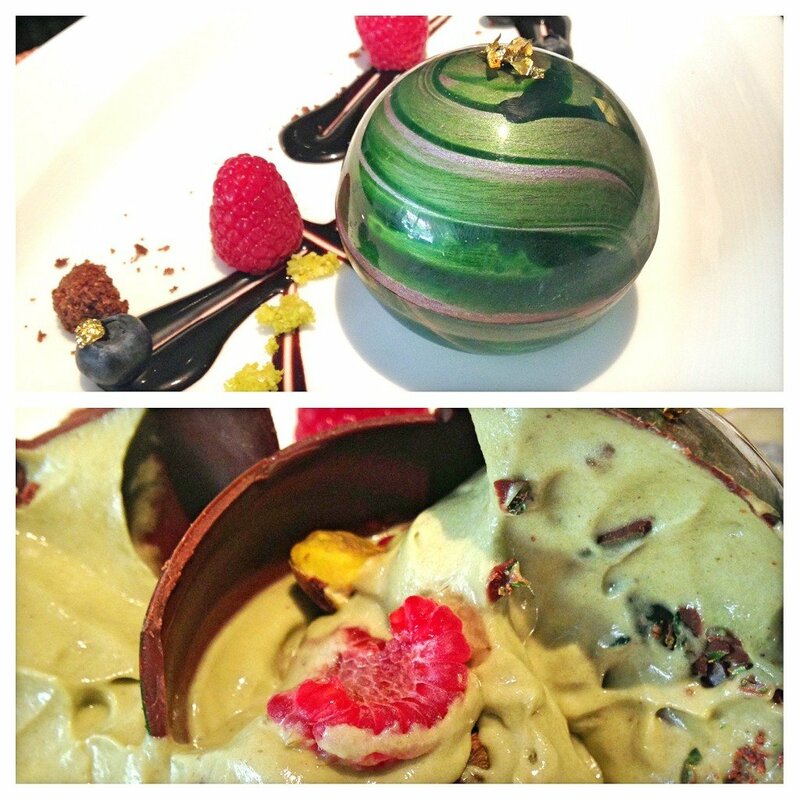 A Pistacchio cream sphere that is limited to 12 a day due to the labour intensive work needed to create one. Only available at the Dolcetto pastry shop located below in Regent Hotel. The pastry chef makes 4 each of 3 flavours daily, which are Pistachio, Mandarin and Salted Caramel. Cracking open the chocolate shell, you savour the flavored Chantilly cream along with raspberries, more pistachio nuts and sponge cake. Creamy and decadent, a truly amazing dessert that is unique and really outstanding among the dishes presented. All dishes (except dessert) are part of Basilico’s “Basilissimo” dinner which includes the Italian antipasti semi-buffet and a choice of main course available as shown above. 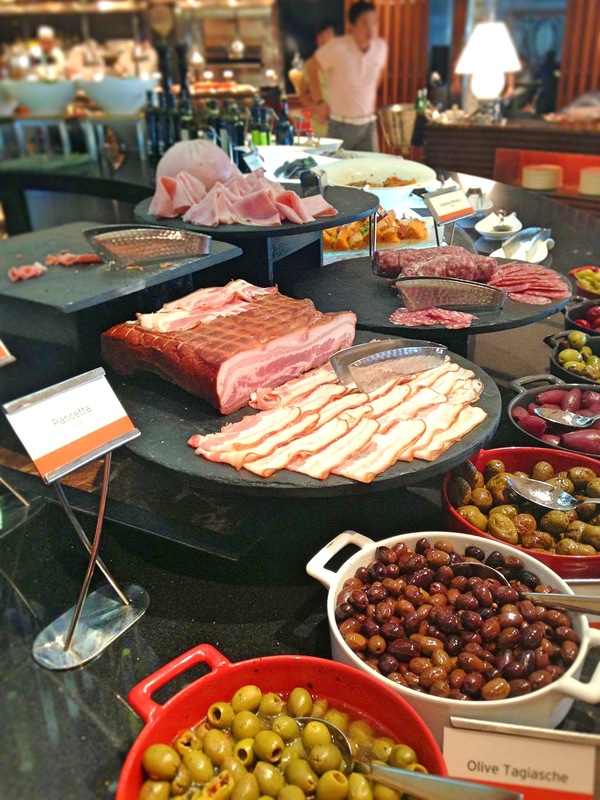 The Italian lunch buffet here is one of a kind. Buffet highlights include: Carpaccio with Black Truffle and Parmesan, King Scallop Salad, Beef Medallion with Portobello Mushrooms, Clams in Pinot Grigio Wine and homemade Italian Gelato! Prices are really reasonable for the buffet quality and variety as well. Semi-Buffet Dinner Price: Daily $82++ or $112++ with 2 glasses of wine. Comes with choice of 1 main course from menu, antipasti and dessert buffet. 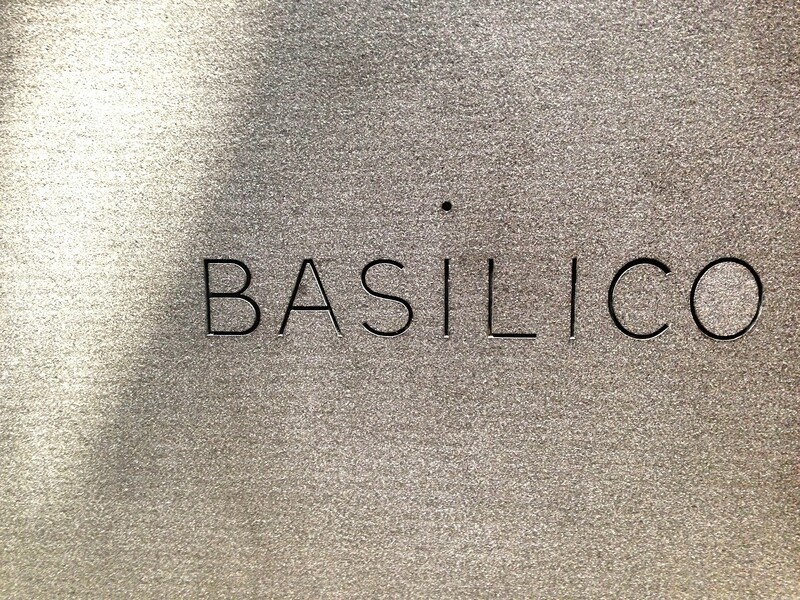 Basilico also has a sheltered ‘alfresco’ terrace area to overlook the pool should you prefer an outdoor ambiance. Good, authentic Italian cuisine with amazing variety.